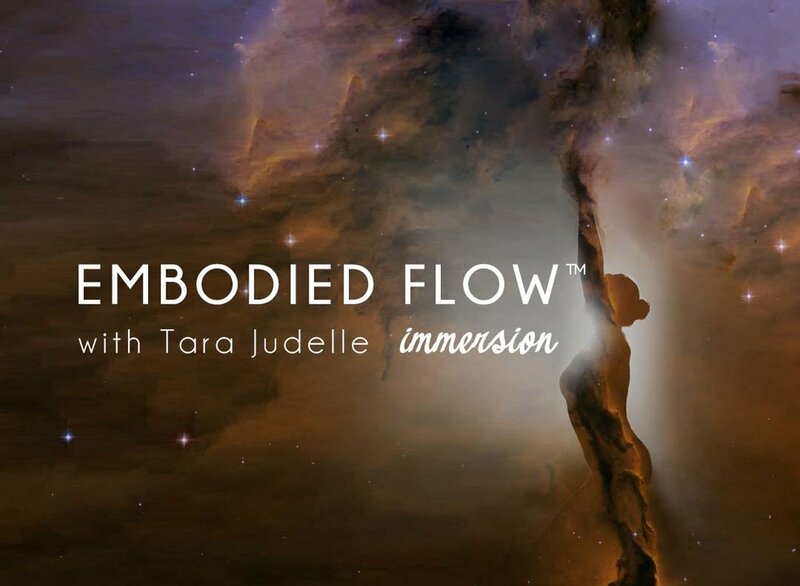 Embodied Flow™ with Tara Judelle is a continuum of movement and expression drawing from the discoveries of hatha, tantric and somatic movement systems to experience yoga as a living art form. Both philosophy and method, Embodied Flow™ training and practice—the living art of yoga™—provide the technology and pathways to a deep sense of ease, strength and connectivity in the human form, empowering practitioners to be their own greatest teacher as they expand, integrate and facilitate awareness in their entire body-mind, to remember and experience the unified field. The immersion is a five-day comprehensive introduction to the world of Embodied Flow™, designed for those who want to segue from other systems of yoga into advanced training or for those practitioners and teachers that which to enhance their knowledge and practice in the integration of mind-body-sprit. Very limited spots! Pre-enrollment is highly recommended. No refunds available after March 6.